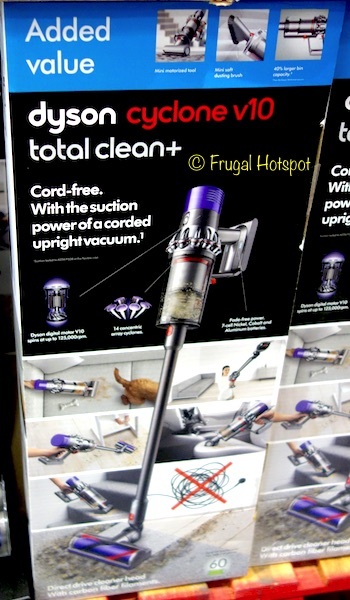 The Dyson Cyclone V10 Total Clean+ Cord Free Stick Vacuum easily transforms to a handheld for cleaning on the stairs, in the car and under those couch cushions. It’s on sale at Costco for $399.99 (after instant savings), from February 6, 2019 through March 3, 2019. That is $80 off Costco’s regular price of $479.99. While supplies last. Item #3311133.